Ajar, new paintings from Joe Ferriso. 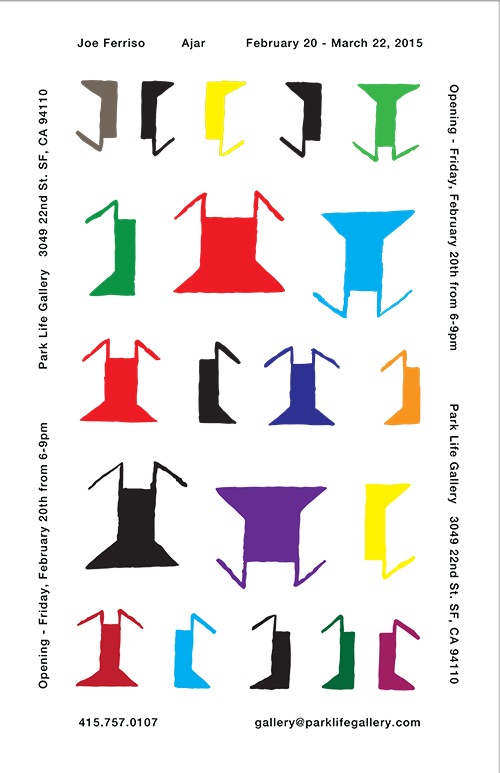 Park Life gallery presents Ajar, a selection of recent paintings by Joe Ferriso. These modestly sized acrylic and latex paintings on panel unfold color sensitive spaces.